Desiree Parrish has two weeks to find a man to protect her from her abusive ex-husband. She's never forgotten Carter Prescott's kindness to her, but can she trust him to keep her and her daughter safe now? Though she's offering him a marriage in name only, Carter has one nonnegotiable conditionDesiree will have to share his name and his bed! 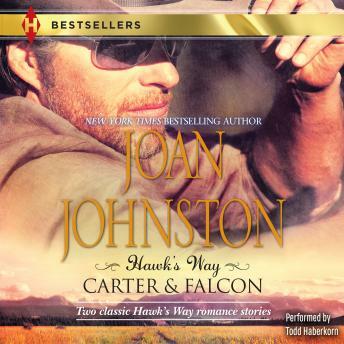 From the moment rancher Falcon Whitelaw sees Mara Ainsworth, she's the woman of his dreamsbut she belongs to someone else. Then a tragic accident leaves her widowedand she blames Falcon. But it seems marrying him is the only way to save her daughter's life. Can Falcon convince Mara to forgive him and make this a marriage for real?